On Founders' Day we pay tribute to our historic origins as an ancient University and we light a candle to give thanks for the vision of Bishop Elphinstone and our patron fathers. The service will be conducted by Rev Marylee Anderson and Rev David Hutchison, Chaplains to the University, with a message of goodwill from distinguished guest preacher, Right Rev Susan Brown - Moderator of the General Assembly of the Church of Scotland. Music will include ‘I was Glad’ by Parry and the world premiere of ‘Most Glorious Lord of Lyfe’ by John Frederick Hudson. 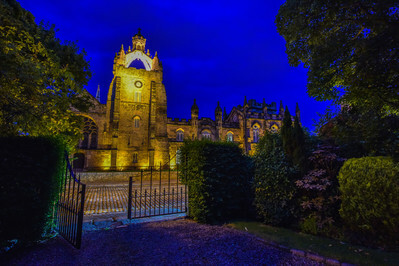 There will be a reception to follow in James McKay Hall Hall, Kings College Conference Centre, University of Aberdeen. Admission is free, No booking is required. All are welcome.